Well, what a difference a day makes. Initially, concerned and a tad bit confused, Wall Street came around to embracing the new Federal Reserve. 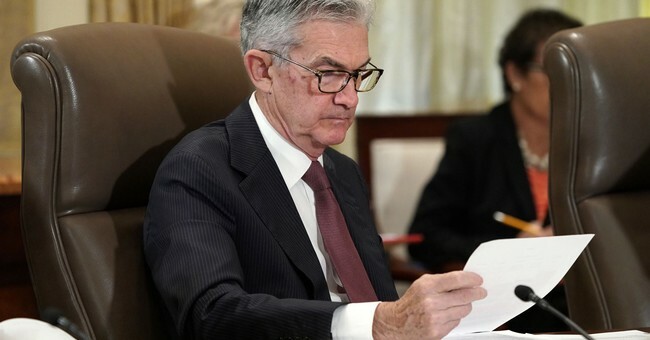 The ‘Powell Fed’ might be ready to embark on a strange journey that eventually sees negative interest rates in the United States. I don’t want to get too far ahead if the Fed only sees one rate hike over the next two years. I don’t want to get too far afield, but if the Fed only sees one rate hike over the next two years, then what happens if the economy or stock market hits a bump in the road? That bump is probably a long way off, but the notion is food for thought. Meanwhile, the market is edging closer to major indices retesting their all-time high points, particularly the NASDAQ Composite. The NASDAQ would only need three more sessions like yesterday, when shares popped more than 100 points. This is a parabolic move that could feed on itself.. This is a parabolic move that could feed on itself, as lots of folks that missed the train leaving the station decide to chase it down the tracks. In yesterday’s Philly Fed release, a special questionnaire revealed the depth of the skills gap. I get that many people believe this is an urban myth. However, with a record of 7.6 million job openings, employers are frustrated and are ready to try anything. That’s great news for Americans that have been hoping for a chance at the dignity of a paycheck. This is serious issue, but. what a high-end problem to have. I think businesses are going to have to do more to make sure they have the workers. While it shouldn’t come down to one or the other, this is certainly a better investment than massive buybacks and higher dividends.